Dutch American Foods is a family owned food service company. 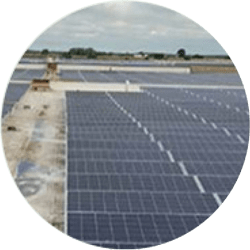 Their innovative mindset led them to get a 920kw roof mount system installed by Midwest Wind and Solar. Under the Illinois regulations this project was eligible for the SREC program which has paid them in addition to the savings they have enjoyed with this project.